Updated results with information about the Delamere Park run changed (didn’t sort in position or times, sorry for the confusion). Thursday was Race 2 in the Deestriders Multi-Terrain Summer series. 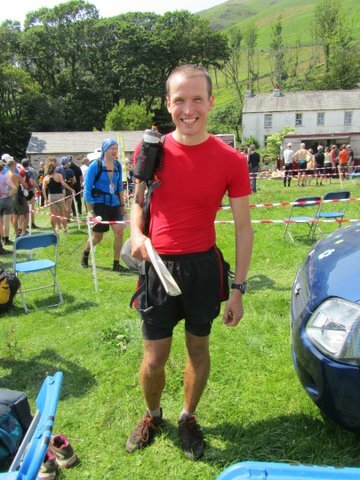 Colin Bishop stormed round the course to finish 6th overall and easily first in his age category. Saturday morning was the Delamere Park Run with first in for Helsby Ivan Davies for 17th in 20.02 with a tight finish with Roy Gaskill for 18th in 20.03. 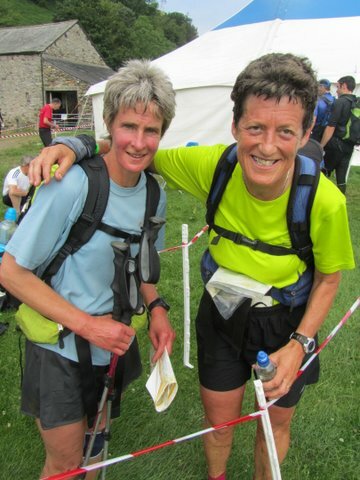 First lady in was Joanne Lacking for 56th in 22.49 then Stephen Wiggins next in with 24.33 and 75th place followed by Louise McEveley in 76th in 24.35 . Also on Sunday was the Fairy Freckled Cow Multi-terrain race at Alwen Reservoir with sole Helsby representative Ben Williams having a great run for 67th in 57.56 and first in for Helsby. 143 in total finishers so well done to Ben for that run. 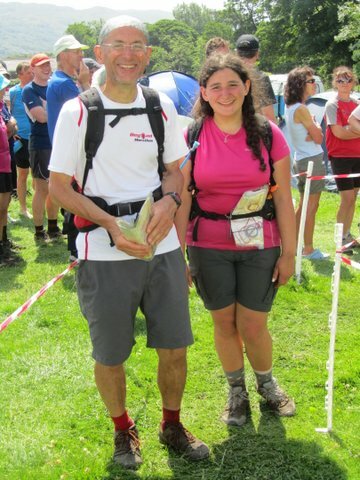 “Just a quick report on the Fairy Freckled Cow trail race which I ran today. It’s a really friendly race, very informal, round the Alwen Reservoir. I recorded the distance at 6.75 miles, a bit shorter than the 7m I was expecting. It’s sort of home territory for me – Dad’s from Nantglyn, one of the nearest villages. The main factor was the heat – some of the race was on forest trails, but people (including me…) were struggling on the open moorland section. The 1130 start didn’t help on that front. The lake sure looked tempting, and plenty of runners seemed to be taking a dip after the finish. Most of the entrants seemed to be club runners, including what looked like most of Wilmslow RC (27 finishers), so I was worried that the standard might be a bit out of my league, but I managed to find a group who were around my pace and stick with them around the course. Funniest thing about the day – the big official ‘toilets’ sign pointing into the woods. Well, it made me chuckle. Cheers for the race report Ben, it’s always interesting to receive others perspectives on the many different races out there. 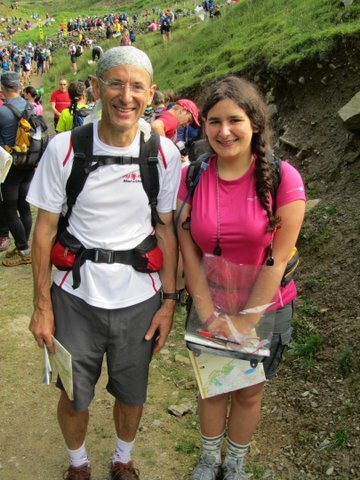 Pictures to follow on the blog and the race report is from three people, Andy, Jackie and Chris BH. 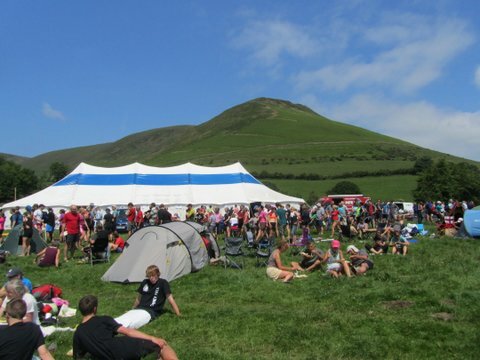 The 35th Saunders Lakeland Mountain Marathon 6th / 7th July 2013 – a challenging, hot, sunny & most memorable GB sporting weekend! 2 days of running with an overnight camp. Starting below Black Combe in the far south west corner of the Lake District competitors headed north onto Corney, Ulpha and Birker Fells. After an initial steep climb the area flattened out to give good running on all courses. The overnight campsite in warm sunshine was its usual mix of relaxing, meeting old friends and making new ones. 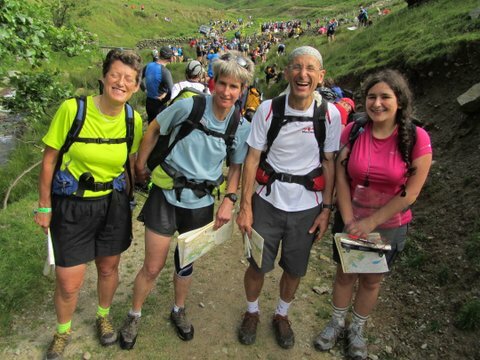 On the Sunday the courses climbed back out onto the open fells before a fast run back down south to the finish. Fantastic work on both days, it was a tough course – would I be right in assuming that you decided enough was enough at Black combe? That heather around the side was enough to put anybody off – my shins are rubbed raw! Karen’s route around there was genius! The most nerve racking/exhausting part of the weekend was listening to the tennis final on the radio coming home in the van! Great result for everyone!!! Saunders comes highly recommended as an intro to mountain marathons, ask any of us for more details!